Fifty-six years ago, E. Jerome McCarthy conceived the 4Ps of marketing: (1) Product, (2) Price, (3) Place and (4) Promotion. Today, Product is still the starting point for most marketing programs but the other three Ps are not particular helpful. Price would seem to be part of product. And Place and Promotion are fuzzy concepts. 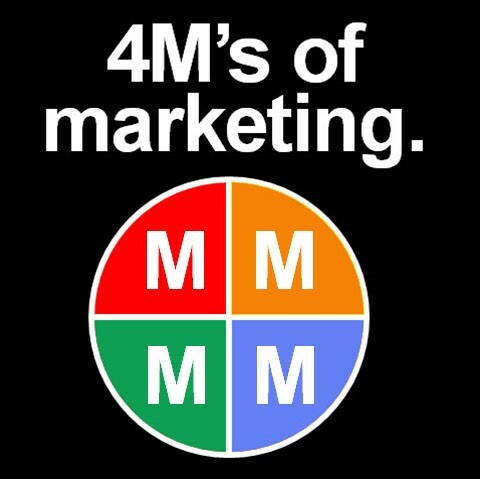 Instead of the 4Ps, a marketing mix for the 21st century might include the 4Ms: (1) Merchandise, (2) Market, (3) Media, and (4) Message. In the five decades since McCarthy first proposed the 4Ps, the concept of marketing has broadened to include many other things besides products: Services, people, ideas, movements, organizations, cities, states, countries and countless other conceptual ideas. All of which could benefit from marketing thinking and execution. Instead of (1) Product, perhaps a better term to describe the identity to be marketed is Merchandise, which could include almost anything. So the first step in any marketing program is to identify your merchandise in great detail. Its name, its price, its competition, its size, its weight, its position in consumers’ minds. One of the major reasons to use a marketing-mix approach is the order of the steps. As most marketing people would agree, Step (1) Merchandise is a thorough study of the product, service, person or conceptual idea to be marketed. Step (2) is to identify the Market to be conquered. Yet too many marketing people quickly move to Step (4) Message. Advertising Age recently reported on the story behind Nissan’s new advertising campaign. Christian Meunier, the new U.S. sales chief, criticized the Nissan brand as “vague” despite billions of dollars spent on ads. So he locked a group of 35 to 40 marketing and advertising professional from four agencies in a room for about two weeks to generate new ideas. The idea they developed? Commercials that show how Nissan cars and trucks can help consumers overcome everyday challenges ranging from potholes and bad weather to running late in dropping children off at school. The new campaign is called Take on, but still includes Nissan’s slogan, Innovation that excites. But what’s the Step (2) Market for Nissan vehicles? A brand that includes sedans, sports cars, SUVs, vans, minivans, trucks and commercial vehicles. And, of course, electric cars. That’s typical thinking. Moving from Step (1) Merchandise to Step (4) Message without first figuring out what the Step (2) Market should be. Marketing is like warfare. No military general would attack on all fronts. Rather the point of attack is crucial to an army’s long-term success. And so it is in marketing. Quite often a company needs to change its product line in order to zero in on a specific market. Subaru dropped all two-wheel-drive vehicles in order to focus on four-wheel drive. You might assume that Starbucks is winning the coffee wars with better coffee. But that’s only part of the answer. Starbucks focused on the high-end coffee market, with a price to match and an environment that enhanced the high-end idea. Fourbucks, the derogatory nickname used by many customers and prospects, only reinforced the position of the brand at the high end of the market. As long as there is competition in the marketplace, you can’t effectively appeal to everybody like Nissan is trying to do.. That’s not marketing. Step (2) Market is absolutely critical. Picking a segment of the market to appeal to. The next most-important decision to make is Media. And if you are launching a new brand, your obvious choice is PR. In its first ten years, Starbucks spent just $10 million (total) on advertising. And the company didn’t launch its first television campaign until 26 years after its founding. Many marketing managers believe a campaign should spread its advertising resources over a range of media. I think that’s wrong. Every medium has its advantages and disadvantages. For maximum efficiency, I believe a marketing campaign should focus on the one medium that works best for its product or service. Five years ago, the average marketing department spent 38 percent of its advertising budget on television. Last year, the average marketing department spent exactly the same percentage on television, 38 percent. Is the trend to digital a good trend or not? It depends on the product. No one medium is best for every product or service. Television is best for mass-market brands, especially brands that can use product demonstrations to differentiate their brands from competition. Print is best for luxury brands like watches and jewelry. Radio is best for brands with a strong verbal message, especially if that message can be expressed in rhyme or alliteration. The Internet is best for brands that have news value. For example, brands that pioneer new categories. Furthermore, brands launched on the Internet do best with video campaigns, not just type messages. The marketing mix ends with the selection of the Message. Hopefully, a singular idea expressed in one medium with one target market. How often does that happen? Not very often. For four reasons. (1) Merchandise is a mixture of many products and services. Take the four leading automobile brands: Ford, Chevrolet, Toyota and Honda. They all make virtually all types of vehicles. (2) Market. When you make everything under one brand name, you have no target market to appeal to. You have to appeal to everybody. (3) Media. A broad line of products designed for everybody doesn’t lend itself to any specific medium. To cover a wide range of products requires a wide range of media. That’s woefully inefficient. (4) Message. No wonder the slogans of the four largest automobile brands are nothing but mush. Ford . . . . . . . Go further. Chevrolet . . . Find new roads. Toyota . . . . . Let’s go places. Honda . . . . . The power of dreams. Last year, these four brands spent a total of $2.4 billion on advertising. Perhaps these four brands could use a little marketing-mix thinking.